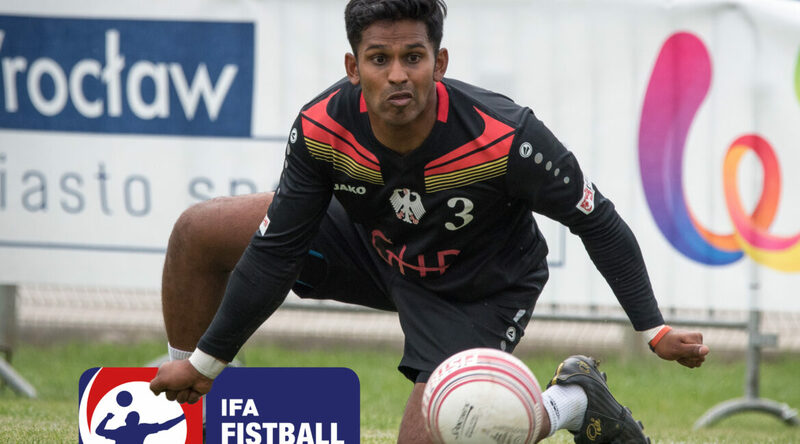 With the new record of 29 World Tour stations on 5 continents, the new season of the still young IFA Fistball World Tour starts at the end of February. 10 tournaments take place in South America, 16 in Europe and one tournament each in India, the USA and Australia. Of the highest ranking category, the so-called major tournaments, two are each organized in Brazil and Switzerland and one in Germany. The registration deadline for club teams to participate in the World Tour runs until 4 February. 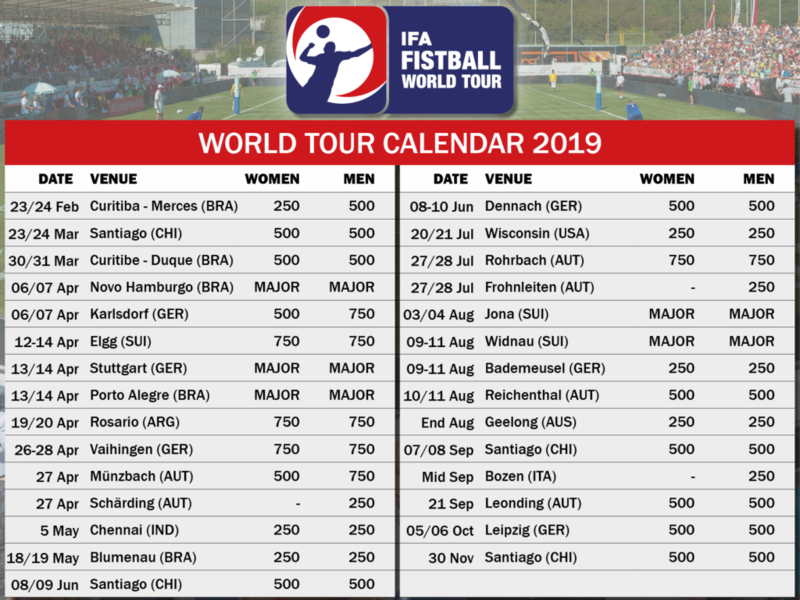 Eight tournaments more than last year are in the new season of the IFA Fistball World Tour on the tour calendar. This year, 29 tournaments will take place on five continents. The tournament series begins this year on 23 February in Merces in Brazil and ends on 1 December in Manquehue in Chile. “We are very glad about how the World Tour has developed and that the tour is well received by the organizers and clubs. It is particularly pleasing to have another World Tour Station in USA, Asia and Australia in addition to the proven World Tour stations and major tournaments in South America and Europe. In addition, there are some new tournaments, especially in Europe,” says Winfried Kronsteiner, chairman of the IFA Sports Commission and initiator of the World Tour. For the first time, an indoor tournament with the IFA500 tournament in Leipzig is part of the tour. The courts in Leipzig have outdoor dimensions, which is why the tournament was added as a World Tour station. “We have slightly adopted the requirements for the new World Tour season and have integrated the feedback from the clubs and hosts. We didn’t expect 29 hosts in the thrid year of the World Tour. It shows us that we are on the right path.  I am glad to see how the tournament organizers and teams are supporting this enthusiastically, and looking forward to the start the new IFA Fistball World Tour season,” said IFA President Karl Weiß. Interested clubs can register for the World Tour for free until 4 February. CLUB TEAM REGISTRATION. Five tournaments take place in the highest category, the Major category, in which 1000 points are awarded. Fie further tournaments are held in the second tour category with 750 points each. The World Tour is a worldwide series of fistball tournaments in four different categories through which teams can secure a wildcard for the World Tour Finals, the former World Cup. In addition to the six continental winners from Europe, North and South America, Australia, Africa and Asia, the two best-placed teams in the World Tour qualify for the World Tour Final. The 2019 World Tour Final won the women Clube Duque de Caxias (BRA) and the men Sociedade Ginástica Novo Hamburgo (BRA).